Upon first hearing about my interest in politics, a middle-aged gentleman I used to work with once summarized brilliantly the age-based, ideological divide, asking pointedly, “You’re a liberal, right?” Though surprised at so immediate an assumption, I quickly assured him that nothing of the sort was true – that hell would drop a hundred degrees before I’d accept the efficacy of big-government policies or liberals’ flippant postmodernism. To which his response was refreshingly honest, if a bit shortsighted: “Aren’t all young people liberal? You’re supposed to be liberal when you’re young. It’s only when you get old like me that you realize you don’t want any of that [government programming] crap.” I explained that there are plenty of young, conservative activists I know who are equally resistant to such “crap,” and proceeded to share with him some rather fruitful discourse about political ideology and the future of the Republican party. But no matter his bluntness, my co-worker vocalized a viewpoint that is quite popular in conservative circles, particularly in those dominated by Republican traditions that don’t always stick in millennials’ minds. As the assumption goes, it is pointless to try to reform youthful psyches that are built by political progressivism; just let them fester for a while, and eventually, once they start a family or a business, they’ll turn to the light. According to this thinking, there is something about conservatism that makes it vastly more appealing as time passes – as life, with all its frustrations and decisions and successes, progresses to some point of relative stability. And, indeed, the date reflect it, revealing a rather pronounced correlation between the acceptance of conservative ideas and the ages of those who do so (within the proverbially ignorant electorate, not necessarily in Washington, D.C., or amongst those who study politics). But the correlation is simply that – a numerical, statistical relationship which fails to provide a qualitative explanation, leaving many to make assumptions that are, I would argue, rather spurious. For example, some might assert that the reason one’s mind tends toward limited government and laissez-faire capitalism through the years has not to do with the tenets of the ideology, but rather with begrudging acceptance and the willingness to settle: As time goes by, conservative veterans say, the propensity to be idealistic – or to prefer nuanced political strategies over those that are more traditional in nature – suffers at the hands of cold, cruel reality. While the rebelliousness of liberalism is suited only for young people and one-time activists wishing to relive the magic, conservatism is different, according to the Party leaders of the world. It is most acceptable to those of experience, who have drawn within themselves and their families, and have forgotten any sorts of philosophical obligations they have to society. Under such a mindset, conservatives are primarily driven by that which works – by an inexorable focus on expediency over such abstract notions as rightness, fairness, or justice. Onerous regulation, for example, is not problematic because it represents an aggressive, extractive government, but simply because it hampers investment and business activity. And who are young people to say that it doesn’t? They have never started companies or withdrawn mortgages or seen their paychecks dismantled by taxation, so what exactly do they know and how are they able to contribute to the political theater? You see, more than anything else, conservatism is a radical and assertive claim on the proper philosophy of government, arguing fundamentally that the state’s inevitable intrusion upon its citizens’ lives must be tempered. Before we claim that overregulation and excessive taxation fail economically – which, by most accounts, is true – we must first establish what government should do within the staunchly philosophical framework we’ve foisted upon it. To invoke yet another founding document, the Bill of Rights, one would be hard-pressed to find in Madison’s original words a desire to ignore idealism or political philosophy: Each of the amendments is, in its own right, poignant, staunch, and resistant to the whims of practicality that hundreds of congresses will experience in the years to come. In certain situations, you may regret that freedom of speech exists in totality – can’t we just put duct tape over the mouths of members of Westboro Baptist Church? – but the first amendment is oblivious to such outcries, its principle unalterable. These are the sorts of fundamental, philosophical provisions that establish a firm foundation for conservatism; to truly accept them takes an idealistic mind, not one that is solely bent on expediency. In essence, conservatives, by their own admission, cannot simply be wise curmudgeons who know the way the world works or who have resisted the abstract, ambitious claims of youngsters. They must be idealists, too – enamored with limited government as a principle, refulgent with personal freedom and responsibility. If the conservative movement loses its brightness and youthful energy, it will soon sputter, unable to keep up with its liberal counterparts. To put it simply, the best way to avoid such an outcome is to ensure that conservatives maintain their focus on the types of radical claims that once engaged young, American intellectuals in the 18th century: Envision those daft activists on college campuses and abroad not as wistful, abstract thinkers who could never understand conservative practice, but as misguided Jeffersons who need a lesson in political philosophy. And what of the connection between old age and conservatism, the definite correlation which has led to shared, ideological tension amongst established Republican figures and new, conservative faces? It seems to me that the best explanation lies not in what conservatives and liberals actually hold to be true, but rather in the normal, social associations that are attributed to each. While liberalism is fueled by spirited rebelliousness – against convention, not government – conservatism, by definition, describes the views of those in society who wish to remain close to traditional notions and manners of action. These terms, of course, are relative, dependent on the overall nature of the culture from which they emerge; and conservatives are only called so because the United States has traditionally upheld classically-liberal policies, policies that were, themselves, once deemed rebellious against monarchical traditions. It is my guess that this is one of many non-ideological reasons that young people who go through phases of insurrection as part of their development prefer liberal dogma. The difference between conservatives and liberals, then, is not based on ideology versus expediency or youth versus wisdom. It is, rather, a basic, philosophical difference: Their state is oblivious to the liberties of its people, including their individual and economic expressions; our state is inherently limited in what it can do, allowing citizens to declare, worship, create, and live in whichever non-violent way they so choose. No matter how hard you try, you can’t back that up with empty assertions solely about what works – if he adheres to constitutional values and classical liberalism, but you’re a statist who happens to be twenty-two years wiser, he’s probably right and you’re likely wrong, no offense intended. 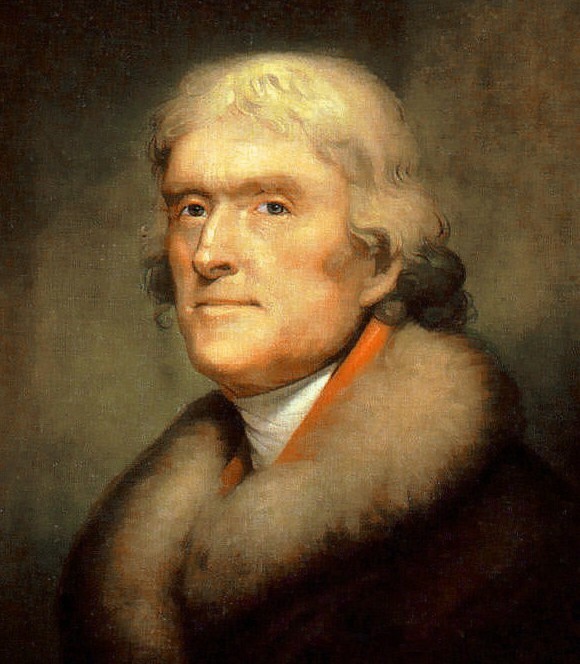 Do you remember how old Thomas Jefferson was when he penned the Declaration at John Adams’ request in 1776? Thirty-three, and not a minute too young. James Madison was twenty-five. General William Howe, a major commander of British forces, was forty-seven.